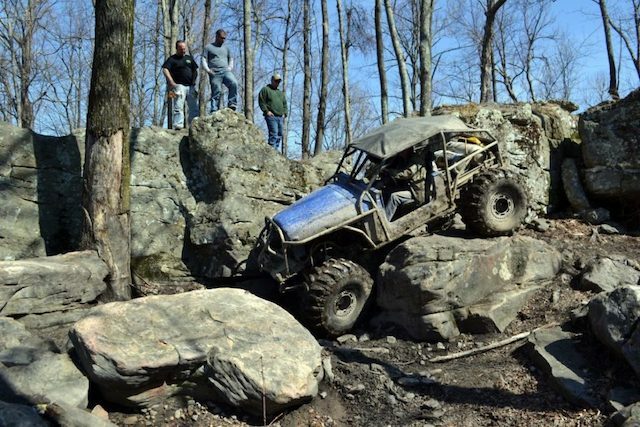 Shawn, can you tell us why you started Lugnut4x4? SM: In 2003, I was rebuilding a ’78 Ford Bronco. I upgraded the axles to an 8 lug Dana 44 front and a Dana 70 rear to handle bigger tires. After doing this I found that I had very poor brakes. I upgraded the master cylinder and booster and that helped but still it did not have the brakes it needed. I realized if I adjusted the rear brake drums it would work okay for a short time, but, after a few weeks, I would have to push the pedal super hard to stop. I rebuilt the rear brakes and put in a new adjuster, but still it would not adjust like I wanted. If I took it in the mud the rear brakes seems to completely stop working and I would have to pull the drums off to clean the mud out when I got home. 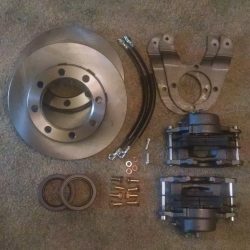 This is when I pieced together my first 8 lug Dana 70 disc brake kit. I then realized I had some safety and performance solutions I could share with other enthusiasts. 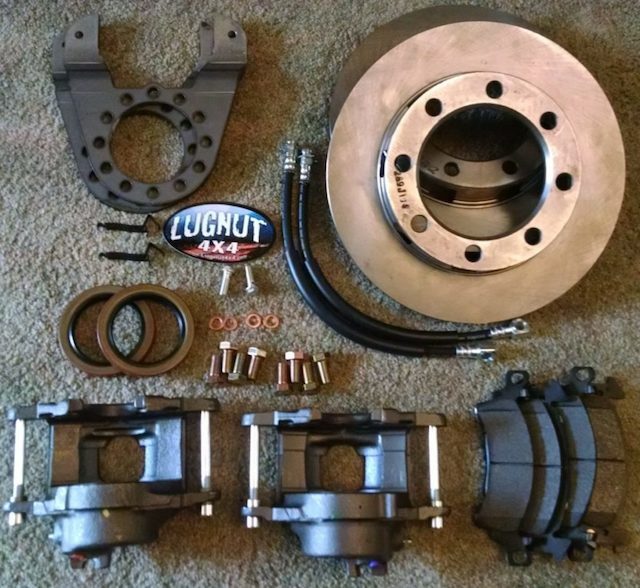 I started Lugnut4x4 to offer these upgraded brake kits and parts to anyone who is passionate about driving trucks off-road or on-road. This first kit cost me over $400. I now sell this same kit for $300 shipped. When you’re talking to potential customers, what are the 3 most important things you want them to know about Lugnut4x4? SM: At Lugnut4x4 we always guarantee high quality, great prices, and quick service. I’ve heard people say you have to choose two of these three. I don’t agree with that. Our customers never have to choose. Quality is in the details. In addition to stocking only reputable-brand, high-quality brake parts for our kits, all of our brackets are laser cut for a precision fit. As a added bonus, most of Lugnut4x4’s brake kits include new bolts and seals. New bolts and seals aren’t necessary when you’re converting your brakes, but the hubs are off. Even if none of the seals are starting to leak or only one of your bolts is rusty, you’ll have these new parts and hardware to use during the upgrade. Since you’re doing this disc brake conversion, you may as well refresh the whole setup. Our pricing means you’ll get a quality product but you won’t overpay. Most of our brake kits are $315 and that includes shipping anywhere in the USA. Our competitors’ kits not only cost more but then tack on shipping charges. Some charge up to $50 to ship these types of kits, so you know you’re saving money when you shop with Lugnut4x4. Quick service means we strive to get your order out the door within 2 business days and often ship the same day. 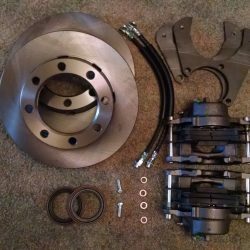 At Lugnut4x4, we recognize that many of our customers are ready to buy an upgrade kit only when they actually need brakes. Brakes are not a part we want you waiting around for, so we keep most of our inventory on hand and always ship priority mail. Not only do customers quickly receive their brake kits, but we answer their questions quickly too. We know service doesn’t stop just because you received the order. If you have additional questions, just call the number on the card you receive with your order. What shipping changes occur if a customer is in Alaska or Hawaii? SM: None. As part of the USA, these states are absolutely included in our USPS priority mail price and promise. Lugnut4x4 is about providing awesome products and quick service. We’re not about gimmicks. We are based in Tennessee and any destination in the United States can receive an order within 2-3 days without paying extra. I make sure our warehouse is stocked, and we don’t charge extra for the hustle. Getting our customers their parts quickly is just part of Lugnut4x4’s business philosophy. *We do ship anywhere in Canada for a $150 shipping fee and anywhere else in the world for a shipping charge of $230. 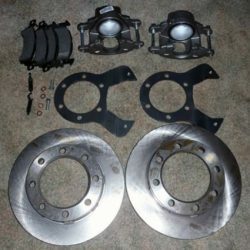 Can you elaborate on the high quality parts you use to build your brake kits? SM: Sure. We use high quality pads like Wagner and PowerStop. We have 5 caliper options for most kits, including coated calipers. We even have slotted rotors available for most kits. Our brackets are laser cut for the most precise fit possible, the banjo bolts are stainless steel, and all hardware is 8-zinc coated. Most of our brackets have more than one set of holes so they can be mounted in multiple locations. We refer to this as clockable brackets. I am always looking for ways to improve Lugnut4x4’s product lines and kits. Because of our customers’ help and feedback, we continue growing and are celebrating another year in business! Do you guarantee Lugnut4x4 products? SM: Our brackets are unconditionally guaranteed for life. Even if your vehicle is in a wreck, we will replace the brackets for free. All other parts have a 30 day warranty. To find answers to other frequently asked questions, go here.